-- Beni di Batasiolo Barolo Wine Dinner at Ruth's Chris Steakhouse, Monday, November 5th, $100/person. -- Looking for a fun happy hour? Try the new Warehouse Wednesdays! From the press release: "Every Wednesday beginning November 7, the Warehouse District welcomes guests to enjoy a mid-week night on the town with discounted drinks, reduced cover charges, live music, and parking and valet specials. 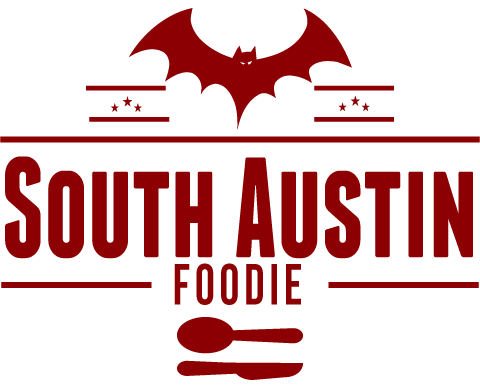 Participating establishments include TenOak, Speakeasy, Imperia, Six, Hangar, Lavaca St. Bar, Fado Irish Pub & Restaurant, Truluck’s, Lucky Lounge, Haven, Avenue on Congress (opening soon) and Peche." 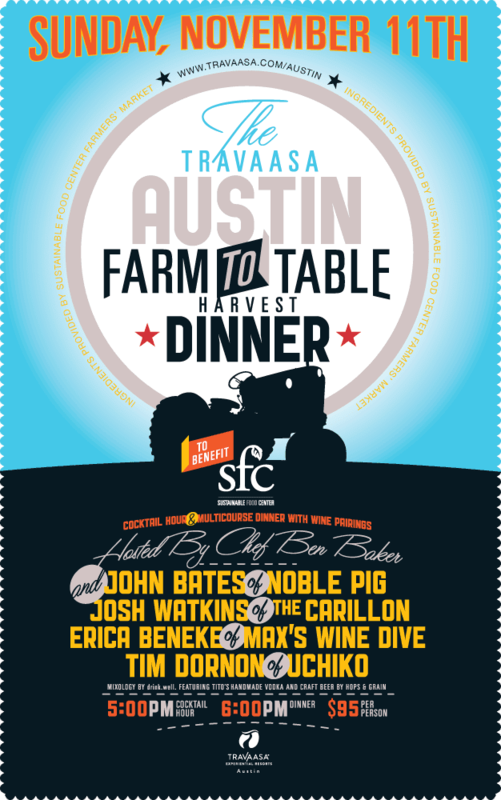 -- One of my favorite spots in town, Travaasa Spa, is hosting a farm to table harvest dinner with four local chefs and ingredients provided by farms associated with the Sustainable Food Center. November 11th, $95/person; great looking line up! -- Thanksgiving comes early this year -- November 22nd! 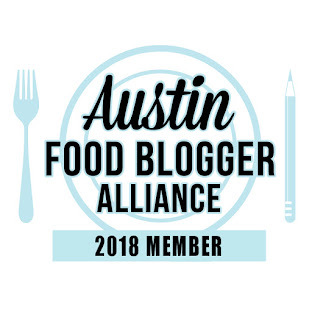 I've received a few emails from places that will be open on Thanksgiving Day, which so far include: Lakeway Resort and Spa ($50/person, 11am - 3pm) and Bar Mirabeau ($30/person, 1 - 9pm).